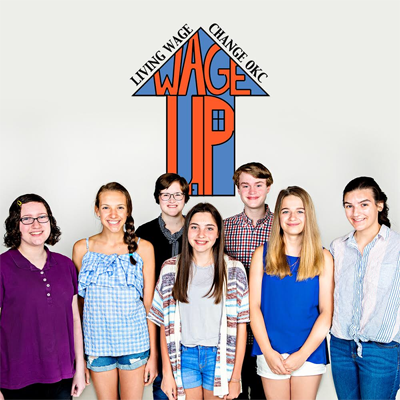 Wage Up OKC was started by a group of eigth grade students in May of 2018 after learning about poverty as part of their school curriculum. Their research led the twelve of them to believe that the current minimum wage was too low and that it is unfair for full-time employees to be paid only $7.25 per hour. They decided to take action and work towards making a change in their community by encouraging a living wage of at least $12 per hour. Now, as high school students, Wage Up OKC plans to partner with more than 200 Oklahoma businesses over the next four years so that all working families can have the ability to work above the poverty line.